We’d love your help. Let us know what’s wrong with this preview of Building Canada by Jonathan F. Vance. In 'Building Canada,' historian and storyteller Jonathan Vance takes an imaginative look at the architecture, transportation, and icons that made Canada what it is today. 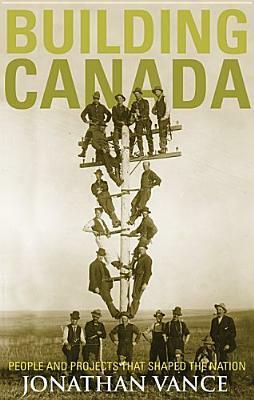 Filled with unusual stories and fascinating characters, 'Building Canada' brings to life important but overlooked episodes in this country's growth and show how major building projects such as the Trans-Canada Highway, rural electrification, Montreal's Victoria Bridge, and the Centennial performing arts centres helped foster a strong and unique national identity. To ask other readers questions about Building Canada, please sign up.